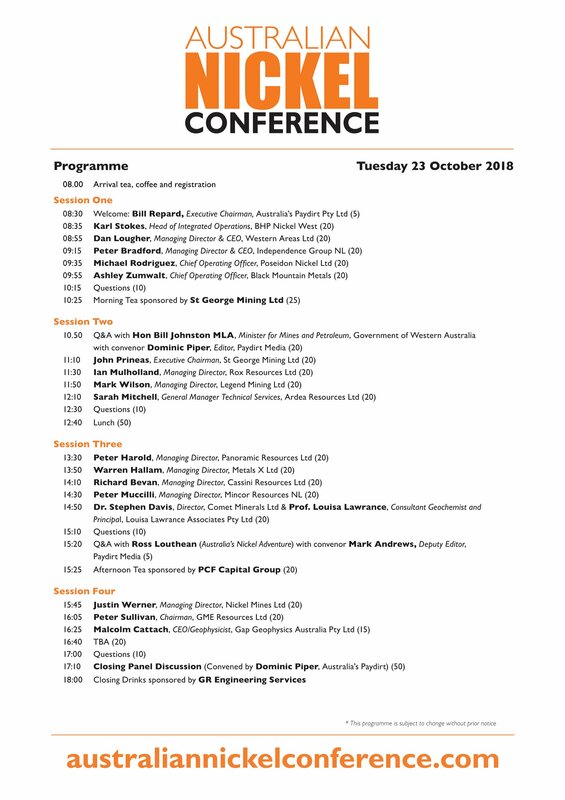 By popular demand, here is the Australian Nickel Conference programme for Tuesday, October 23 2018 Pan Pacific Hotel Perth. The one day show has generated great interest, with players in the space driven by two themes: Demand for nickel for use in stainless steel and the importance of nickel in batteries for the electric vehicle future. Come see the stalwarts of the nickel industry present at this ONE DAY ONLY event which will feature some fresh industry faces also.